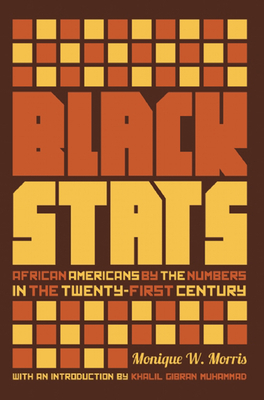 Black Stats--a comprehensive guide filled with contemporary facts and figures on African Americans--is an essential reference for anyone attempting to fathom the complex state of our nation. With fascinating and often surprising information on everything from incarceration rates, lending practices, and the arts to marriage, voting habits, and green jobs, the contextualized material in this book will better attune readers to telling trends while challenging commonly held, yet often misguided, perceptions. A compilation that at once highlights measures of incredible progress and enumerates the disparate impacts of social policies and practices, this book is a critical tool for advocates, educators, and policy makers. Black Stats offers indispensable information that is sure to enlighten discussions and provoke debates about the quality of Black life in the United States today--and help chart the path to a better future. Monique W. Morris is co-founder of the National Black Women's Justice Institute. She is a Soros Justice Fellow and formerly served as Vice President for Economic Programs, Advocacy, and Research for the NAACP. A faculty member at St. Mary's College of California, she is the author of the novel Too Beautiful for Words. Morris lives in the Bay Area with her husband and two daughters. Khalil Gibran Muhammad is the director of the Schomburg Center for Research in Black Culture at the New York Public Library and the author of The Condemnation of Blackness: Race, Crime, and the Making of Modern Urban America.